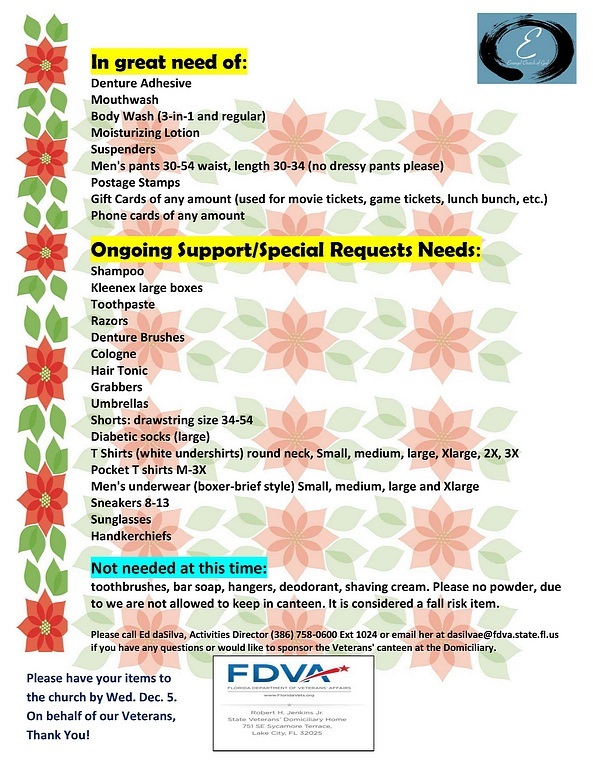 We are collecting supplies for the VA Domiciliary. Please pick up your list of supplies in the foyer. Please place supplies in the Christmas Box by Dec. 5, 2018. We will deliver to the domiciliary. Thank you for your help.